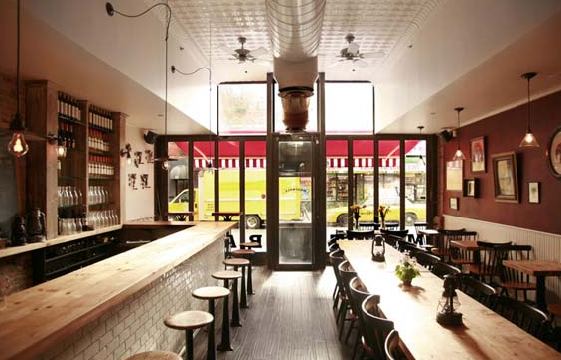 The Meatball Shop, Subway Sandwich or Ikea Meatballs? 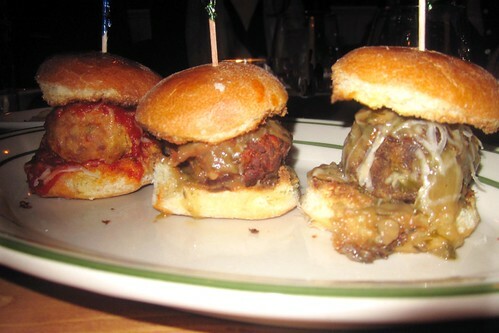 Time Out New York 's Gritzer wrote a tongue and cheek review a month back that made me drool for meatballs. He writes, "Wrapping your lips around a nice taut wiener may have its joys, but ...Those ready for a change of pace can turn their attention to balls—er, meatballs—at the Meatball Shop". And so because of that we (at least that was my reason) decided to try out The Meatball Shop on its 3rd day opening 2/11/10 in hopes of comfort. Unfortunately it was a sad dinner. There was 4 menus for us to check off our individual orders like dimsum. 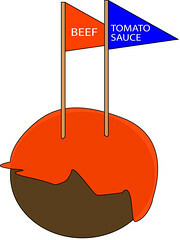 For example: You want 1 beef meatball with gravy sauce, 2 spicy pork meatballs with red sauce. Check and double check. Handed all 4 menus to the waitress but then when the meatball sliders came to our table... it came all unorganized on 2 plates...when theres obviously more than 2 people at the table. How did an order of 6 sliders become 7, and which one was spicy pork, beef, chicken, salmon etc???? They all looked the same...what would have happened if we had chosen all 20 possible options to choose from (5 different meatballs, 4 different sauces)?? Sticking random colored toothpicks (as they did) makes no sense at all. My suggestion for sensibility is to color coordinate toothpicks to types of meatball and sauces. See? Simple! Organized! But fine-- its their 3rd day of opening. Theres always kinks to work out. But what if...even the meatballs did not taste good? Lukewarm, soft, and...despite different meat and sauces...they all tasted the same. After my meal I instantly wanted a Subway Meatball Sandwich and Don suggested Ikea Swedish Meatballs instead. Hmm. Also, when I asked the waiter "Whats in the vegetarian meatball" the reply I get is "A couple of things". Exceeeellent....two ingredients that they can not disclose. We got all the side dishes, which are not worth mentioning either. 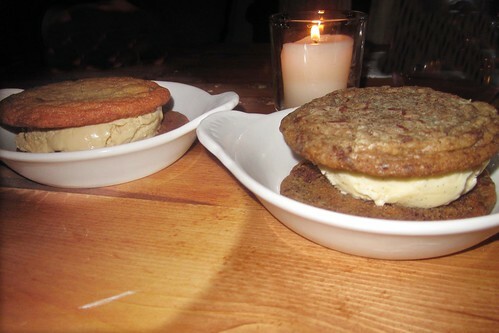 The one saving grace that The Meatball Shop does have is their ice cream sandwiches. Maybe not the chocolate chip with vanilla (Ive had better cookies) --but the Ginger Snap with Caramel definitely made me drool. Anyways, I think Ill stick with weiners and my $5 subway sandwiches.